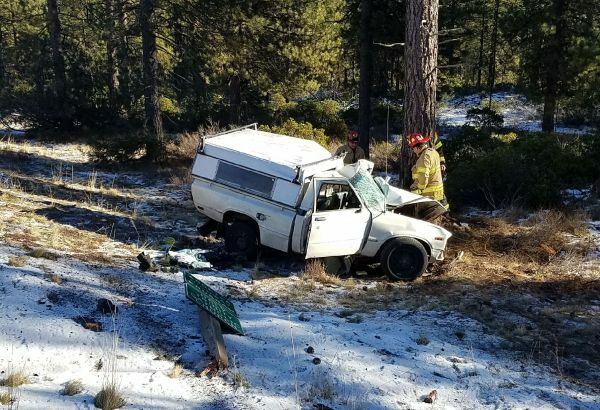 SUNRIVER, OR -- A Bend man was killed in a crash that occurred near Sunriver, at about 10:15 Wednesday morning. According to State Police, 55-year-old Shannon Ray Rogers of Goldendale Washington was northbound on Highway 97 and struck the back of a pickup. 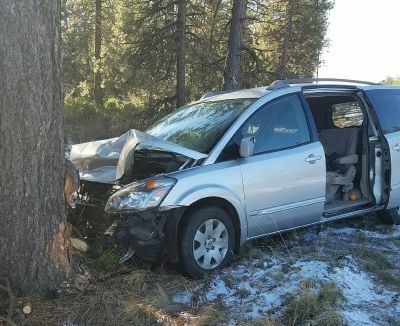 That driver – 56-year-old Brian Harris, of Bend – veered off the road and hit a tree. Harris was pronounced dead at the scene. Rogers also ran off the road and struck a tree, and was taken to the hospital with non-life threatening injuries. The highway was shut down for about 30 minutes until one alternating lane was opened.